We have many different packages sure to fit your event. Be sure and include your event date so we can verify our availability. We can't wait to hear about your event! Drop us an email & we will personally get back with you within 48 hours. Thanks! My husband and I really enjoyed the Happy Camper Photo booth at a number of weddings! It was a great way to leave some fun memories for the bride and groom. Definitely a must if you are planning a wedding! 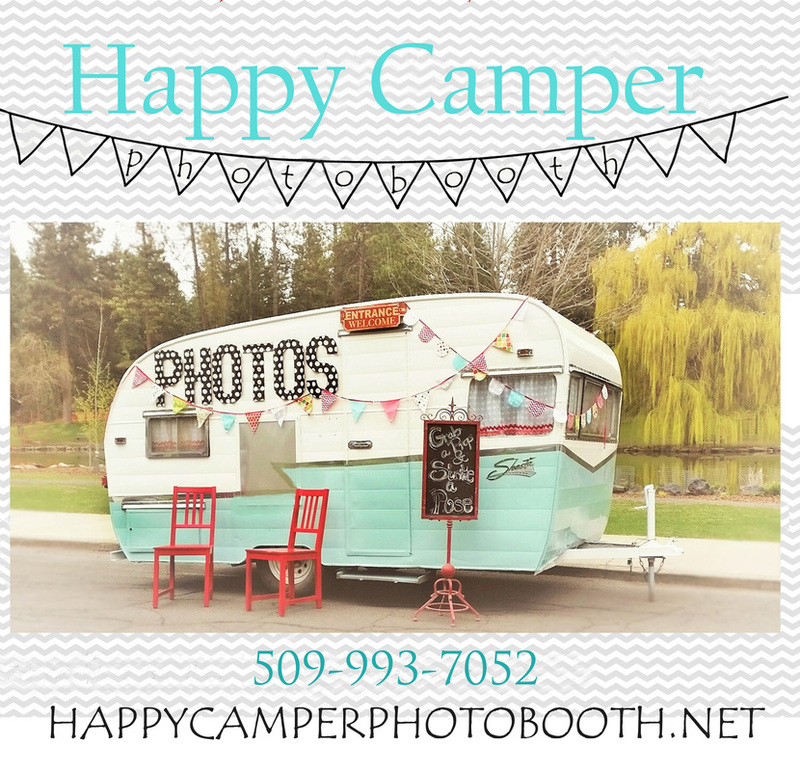 We loved our experience with Happy Camper Photobooth. This completely unique Photobooth experience offered everything you could want for kids and adults of all ages. As a special end of year reward for students, Salk Middle School hired Happy Camper to come for the 8th Grade Celebration. Students and teachers all got into the spirit and memorialized the day and their years at Salk, while enjoying the fun props available in the booth. The staff for the Photobooth were extremely helpful and professional. I highly recommend this vendor for any event ~ formal or just for FUN! Very cute photobooth, makes for a great addition to parties and weddings. Ran by some pretty awesome people too- the pictures turned out very cute!